The German engineering giant has a history of value-destroying acquisitions. Yet buying U.S. engineering software maker CD-adapco may buck that unhappy trend. The capital goods market faces a digital revolution. More importantly, it looks like Siemens isn’t massively overpaying. 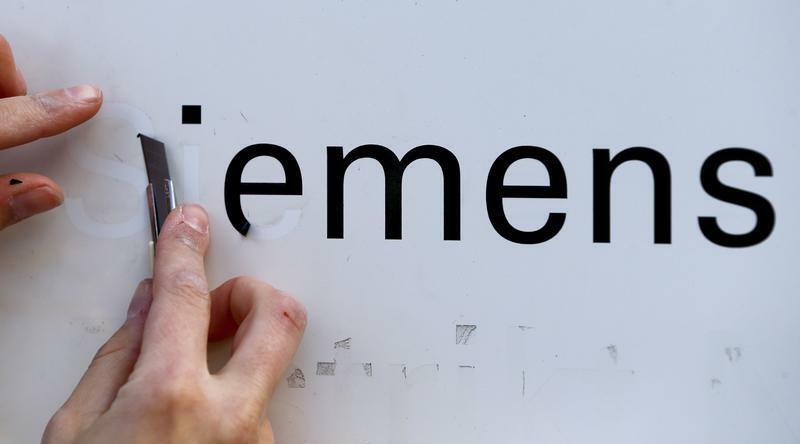 A worker removes lettering spelling Siemens from an information board at a Siemens AG office building in Berlin September 30, 2013. Siemens has agreed to buy CD-adapco, a privately held U.S. engineering software firm, for close to $1 billion in cash, according to a person familiar with the matter. The deal could be announced as early as Jan. 25, the person said, asking not to be identified because the agreement is not yet public. The two companies did not immediately respond to requests for comment. CD-adapco makes computer programmes used by engineers to simulate the inner workings of an engine. Established in 1980 and still controlled by its founders, the company has 900 employees in 50 offices and has achieved $200 million in annual revenue and an annual growth rate of 15 percent for the past five years, according to its website. Its main competitor in engine simulation software is Ansys Inc.
CD-adapco’s co-founder and chief executive, Steve MacDonald, died last September. He was succeeded by his widow, Sharron MacDonald, who was named interim chief executive and president.